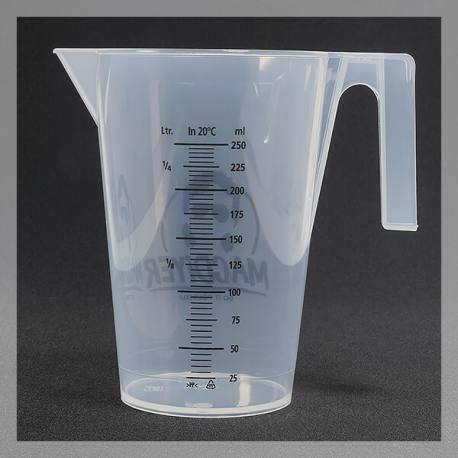 250ml Graduated Beaker, with a handle in natural PP to carry out your DIY recipes. 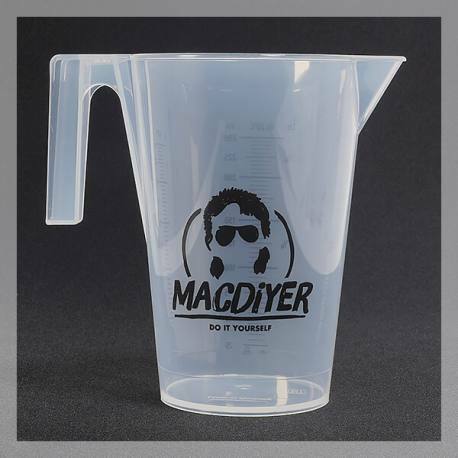 Ideal for transferring important amounts of liquid. The Beaker is particularly useful when preparing large quantities of DIY e-liquids. The Beaker allows you to mix ingredients, by hand or using the agitator (mixer). The graduation is of great help for precise dosage.